St. Somewhere is located at 309 First Ave SE, Steinhatchee, FL 32359. 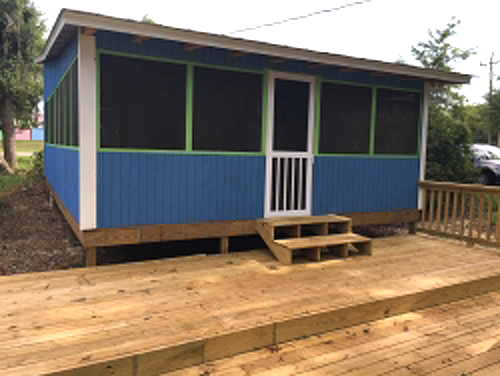 This cottage is across the street from Sea Hag Marina and only a few yards from the Public Boat Ramp giving you easy access to launch your boat. 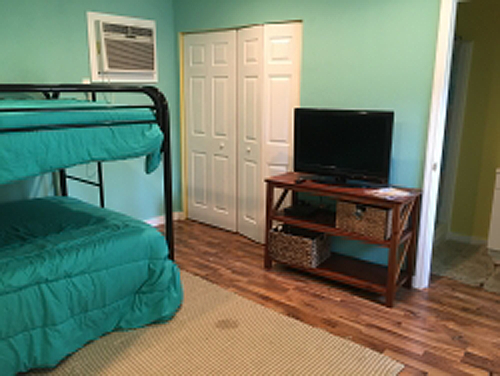 St. Somewhere is a charming two bedroom cottage with one full bathroom, can sleep 10 with a king bed, full size bunk beds. 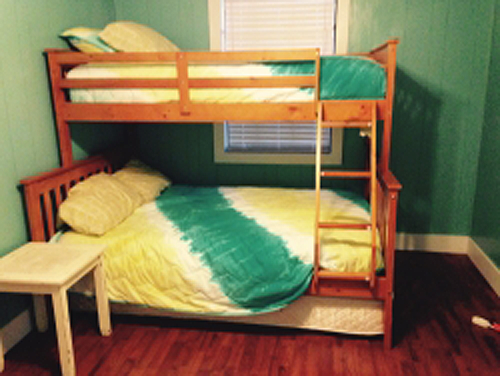 Bunk house with full bath and set of full bunks beds. Has screened back porch and outside shower. 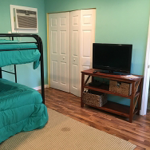 Colorful and cozy with all the amenities one needs after a day on the gulf. 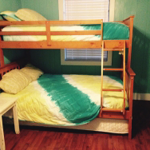 Bunk house with full bath and set of full bunks beds. Lots of open deck to enjoy.